Pie Five Pizza is getting on board with one of the biggest restaurant trends of 2016: vegan dining. 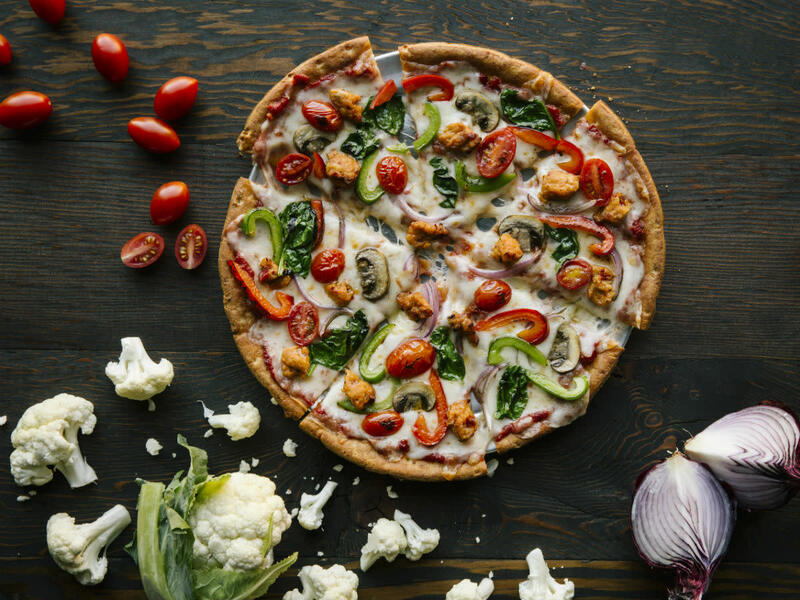 The Dallas-based company is adding a vegan cheese option made by pioneer Daiya, to serve at all Pie Five restaurants nationwide, including four Houston-area locations. Called Daiya Classic Blend Shreds, it's a blend of mozzarella and cheddar vegan shredded cheese, like nothing offered at other chains. It does what most people want cheese to do on a pizza: It melts and stretches to create a gooey, rich topping, just like dairy-based cheese. The cheese blend is soy-free, gluten-free, dairy-free, tree-nut free, plant-based, lactose-free, and vegan. Patty Scheibmeir, VP of research and development and product innovation at Pie Five, says that guests were requesting it, and that Daiya was the best dairy-free alternative. "The thing about Daiya's cheese is that it worked well with our current oven settings, and it works with all of our pizza crusts," she says. "It cooks perfectly, with a beautiful stretchiness. With some of the vegan cheeses we tried, they came out looking like burnt marshmallow. Daiya was the only one tested that looked and tasted good." "Those have always been vegan," she says. "We don't have egg in any of our crusts." 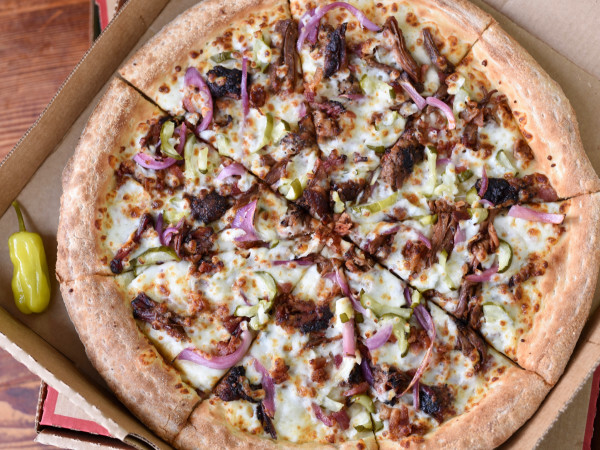 Pie Five is a spin-off of Pizza Inn that specializes in customized personal pizzas. 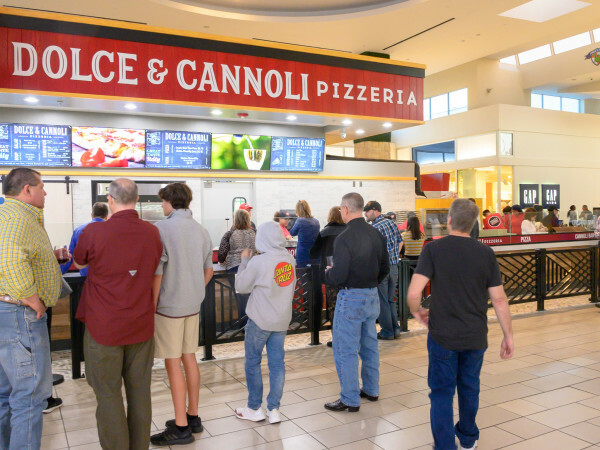 It is named for the amount of time it takes to get your pizza made to order: five minutes. Toppings include upscale options such as spinach, artichoke hearts, caramelized onions, and three kinds of olives. Fresh vegetables are prepped at each store. 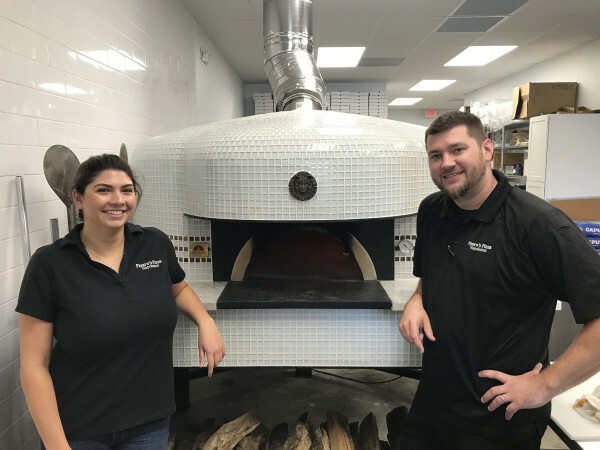 The first Pie Five opened in Fort Worth in 2011; there are now 87 locations in 24 states. Five of Pie Five's seven sauces are vegan, including Tuscan marinara, spicy marinara, barbecue, olive oil, and olive oil with garlic. (The Alfredo and ranch sauces have milk.) That allows customers to create an entirely vegan pie. "The vegan trend is expanding," Scheibmeir says. "We hear it from young people, women, millennials, and we're working on more options." Daiya Classic Blend Shreds will be available at every Pie Five location by the end of March.